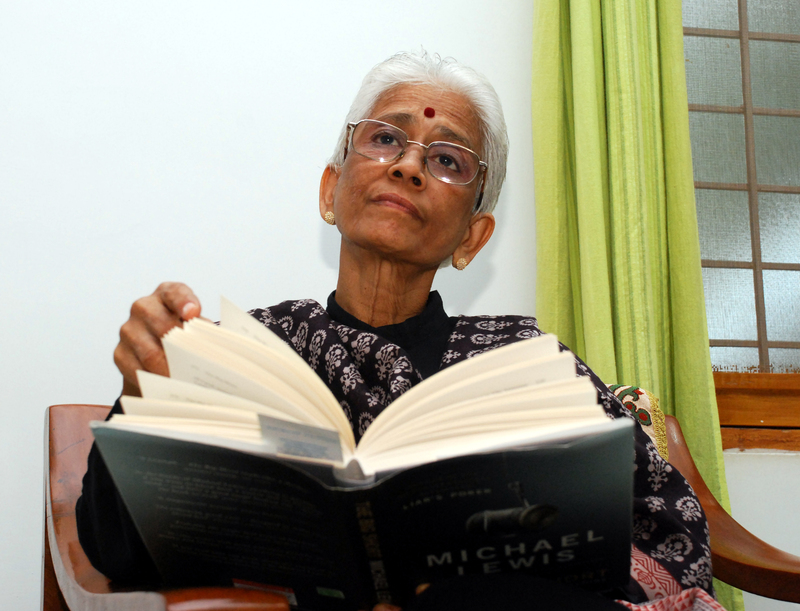 today marks two years since shashi rajagopalan or, as i called her, dr rajagopalan, passed away. for more on her and her work on co-operatives, click here. Readers may recall that two years ago, I had dedicated AgriMatters (a collection of essays published in this column) to her. 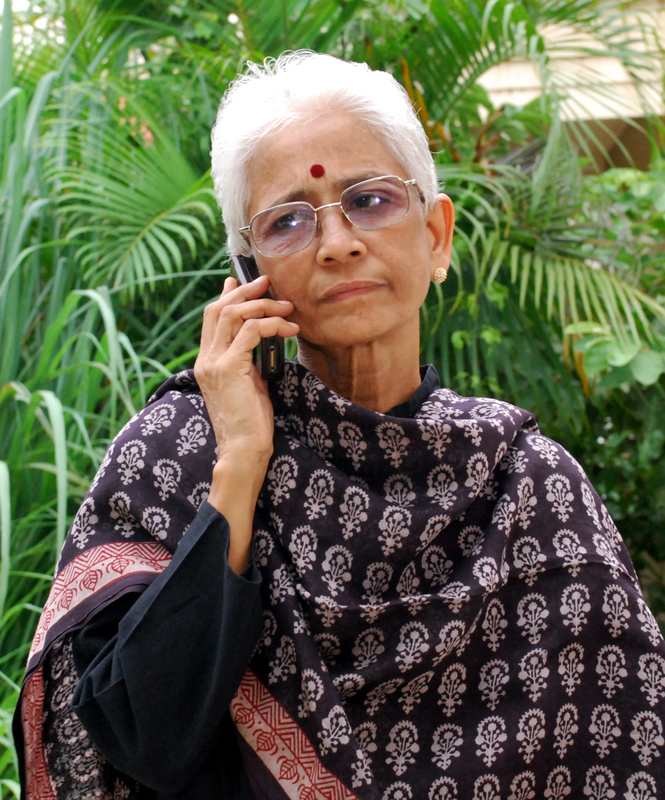 She had told me, in a matter –of-fact way that she was down with breast cancer, but that she would try to lead a ‘normal life’, and that she did till the last three months, as an active member of the Board of the RBI and NABARD besides guiding several NGOs and CBOs, attending seminars and discussions, and even participating in field visits. My interaction with Shashi started when I took over as the Vice Chair and co-ordinator of the CCRD (Centre for Cooperatives and Rural Development) at Mussorie in 1996. I was then trying to understand how co-operatives could be made more professional, and how they could be freed from the yokel of the Registrar’s office. The experience as CEO Himul was still fresh, and the faith in the infinite possibilities that the co-op form of organization was firmly grounded in experience. The Academy had established the CCRD to undertake case studies, document best practices and assess the impact of co-operatives on agrarian economy. The NDDB had given a grant of Rs 1 crore ( a substantial sum in 1995) for this purpose, Dr Kurien as Chairman was keen that young entrants should look at the co-operative form of enterprise as a viable option , not just in dairying sector, but for other sectors as well : labour, housing, credit, fertilizer, fisheries, marketing, agro processing etc. Shashi was then working for the CDF (Co-operative Development Foundation), Hyderabad and had played the ‘salient’ role in bringing about the first progressive legislation on co-ops in the country: the Andhra Pradesh Mutually Aided co-op societies Act – which was hailed as an exemplar. She would organize annual consolations on the Self Reliant/Mutually Aided C-op Societies Act, and take us for extensive tours to the women’s thrift and credit co-ops, as also to the Mulkanoor Multipurpose Co-op society to sow us the real potential of what people can do by them. The core message of Shashi was: trust people, especially women with their money, extend professional support and training for basic accounting and management techniques provide exposure to the opportunities in their sect oral domains through value addition, marketing and support services – and let them learn from their own mistakes. A co-operative was a co-operative only if it adhered to mutual help and self help: the moment it accepted government equity and patronage, and accepted its role as an ‘agency’ of the government, it lost its independence forever to the Registrar and his minions. Unfortunately in our country, the vast majority of the co-operatives had been organized by the state, as it suited the state to deliver services – credit, fertilizer, and marketing support through co-operatives. The AP example was followed by Bihar, Karnataka. J&K, Madhya Pradesh, Odhisa, Madhya Pradesh and Chhattisgarh, and in varying degrees by many other states. The Centre at Mussorie was an active protagonist of this reform, and the J&K draft legislation was discussed at length at a workshop at the Academy. When Uttarakhand was carved out of UP, Dr RS Tolia wanted a new legislation for co-operatives in the state, and Shashi’s services were again requisitioned to assist the state. The USHA Housing society, where yours truly stays with many of his colleagues is registered under the progressive legislation drafted with Shashi’s help. Shashi also led the CECI-CEBED study on self Reliant co-ops in India and yours truly was a part of that team. Her insights and her vision were, to say the least exemplary. Shashi’s imprint is visible in all the publications of the CCRD, especially, “ Creating the Space : Disengagement of government from co-operatives’, a seminar conducted by her in which the general consensus was that co-operatives must draw up a plan for the redemption of government equity, and that governments on their part may not take ‘equity’ in co-ops. Easier said than done, for co-operatives have been used by all governments to meet their short term interests, that the long term vision was often lost. She was the most popular speaker at the SAARC Consultations on Co-op Policy, and her fan following grew by leaps and bounds. In fact, no seminar in the co-op/SHG/micro finance/empowerment circuit was complete without her ‘words of wisdom’. She encouraged so many of us to take the debate forward…Amjad Afridi, Gopi Ghosh, Sudhanshu Dhulia, Rajiv ID Mehta, Gopal Saxena, and Kabita Bhattarai, among others. A few years ago, she left the CDF, and became an independent consultant, and would send her friends an annual report on her activities for that year. She would list all her assignments , the sources for her funds, and would also give her take on the ‘learnings’ from each of these assignments – ranging from women’s empowerment to access for people with special abilities and issues of reproductive health and awareness about HIV. Her elevation to the RBI Board was an acknowledgement of the pioneering work done by her in her chosen domain, and though she did not have an advanced degree in public finance or economics, she had understood the finer nuances of fiscal and monetary policy, and her colleagues held her in the highest esteem. Did I accept everything she said unquestioningly? No. We disagreed on the restructuring of the ‘sarkari co-operatives’. While she was skeptical of them, I felt that they performed an important task, and till FPOs or JLGs or self reliant co-ops came up, we had to work with them. She felt strongly that it was virtually impossible to reform them from within- something I have now begun to accept as the managing Director of Nafed. On the personal front, Shashi was a member of our family. She got on famously with Rashmi, Sanandan and Yauvanika. Yauvanika could spend more time with her than Sanandan, especially during her visits to Kolkata for the RBI Board meetings. Invariably we would dine out (at her expense), try out new cuisines, talk philosophy, the state of the nation, in fact everything except cricket and Hindi movies. She shared Rashmi’s strong aversion to allopathic mode of treatment, and lived with her cancer, valiantly with naturopathy and homeopathy. She had lost a lot of her weight, but none of her spirits, or her sharp intellect and wit, and the ability to connect people across different spectrums to work on themes that were of mutual interest. Rashmi and I met her last on 24th July at Hyderabad. She had organized her own ‘farewell’,(with a little help from her affectionate niece Sonia Iyengar) for her friends and family – and we were proud to be part of that intimate circle. After a proper Iyengar meal on a banana plantain, she got us together and thanked us for the ‘most precious gift’ anyone could have given her: the gift of our time…. How one wishes one had more of it with her! shashi rajagopalan passed away on friday morning. i have written about her earlier here. and, over here, you can see the complete transcript of that interview. the transcript is a must-read, i think. do take a look. on friday, i added an obit to that small list. which you can see here. Her stories — and stories about her — from this period are legion. Rajagopalan, a small, slender woman who was fond of driving, would routinely drive off in CDF’s jeep to check on her co-operatives. Once at a co-operative, she would not interfere in the decisions the members made. That was non-negotiable. Every decision was best made by the locals. Years later, she would recall with great amusement (I should have said ‘relish’), incidents when village women demolished her critiques of their decisions. Later, as political meddling hobbled co-operatives, forcing several to shut down, she became one of their most ardent defenders. She fought for the creation of new co-operative laws — first in Andhra Pradesh and then in other states like Karnataka, Orissa, Bihar, Jharkhand, MP, Chattisgarh and Uttarakhand. Next, as times changed some more and co-operatives began to be seen in larger policy circles as an outmoded idea, she kept fighting — first from CDF, and then as an independent consultant. i got to know shashi last jan while working on my first story on the mfis. a year and a half of knowing her. not long by any stretch of imagination. but, god, she was — to use one of her favorite words — wonderful! Your question was on how to revive PACs. We have to make them thrift-oriented where every member must save x rupees every month instead of waiting for banks to refinance or for Nabard to step in. That may continue but that cannot be a long-term plan. The long-term plan has to be your own funding. When you have thrift in an organisation, not only do you have a stronger co-op, but wealth retention also takes place at the local level. The profits of that enterprise stay at the local level. Your own savings stay with you. They get invested locally. Plus the profits from the entire enterprise also stay locally — the profits of any third party leave the area. And the fact that a large number of people have access to credit on a regular basis means there is purchasing power in the hands of a large number of people at the large, contiguous area year after year. You automatically have a large, domestic, service sector emerging which is sustainable because it is not falsely supported from outside. And almost everywhere we see, we see liquor, some entertainment, flour mill, tea shops, workshops, mason, and transport coming in first into the village. And wherever you have good co-ops, sooner or later, you see the housing going up in the area. And that is a story by itself. It has not been reported anywhere so far. But, my goodness, look what we can do. Instead of going on crying that agriculture cannot support so many people. I uploaded the complete transcript of my interview with Shashi Rajagopalan, she of the co-operatives fame, to the et website yesterday. Take a look. all other businesses in the system are capital controlled, capital sensitive and capital rewarding. they are formed on the basis that the person who puts in the capital is a risk-taker and must be rewarded. in cooperatives, you say, there is another way of conducting business where, those who have common needs come together and fulfill those needs through a joint enterprise. in these businesses, while the members put in capital, capital itself is not rewarded. it is a necessary part of the business but it is not the reason why the business succeeded. the business succeeded because the members came together and serviced themselves through that enterprise.